Advertising Age recently published an article about the emergence of business profiles on Google+. Companies the world over questioned when they could join Google+ after the social networking platform rolled out nearly three months ago. Rupal Parekh notes that at Ad Age’s Digital West 2011 conference, Christian Oestlien, group product manager for social advertising at Google, announced that business profiles for Google+ are close to making a debut. Originally, Oestlien urged businesses to refrain from creating profiles on the platform but those he did not heed his advice were removed from Google+ in the early roll-out stages. Due to Google putting the brakes on business profiles, Parekh notes that ‘digital squatters’ have already taken up real estate on Google+ using brand names like Starbucks, Kraft or Burger King. Only two companies so far have received a green light in setting up company profiles with a beta testing caveat – Ford and General Motors. Another article, “Your Google+ Strategy Calculator,” by David Berkowitz highlights some challenges that marketers will face with the advent of Google+ brand pages. He notes the increased interaction between SEO managers and community managers working internally to capitalize on posts. The departments will need to work in tandem to effectively utilize Google+. There needs to be a balance however, so that the focus on posts and updates is not solely on building +1’s, but also takes into account the essence of building a community and creating relationships. Berkowitz also notes the importance of Circles on Google+ and how marketers will need to strategically use this feature to personalize outreach with clients. As Google+ continues to develop, Berkowitz also encourages agencies and users to find out what exactly a +1 means for your business and community. 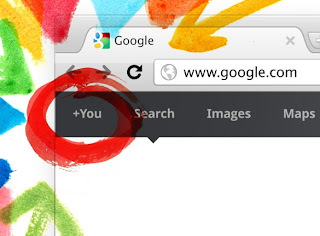 Are you planning on setting up a business profile on Google+? Let us know your Google+ feedback in the comments below.